After the trip to Washington state, I headed down to Colorado for a few days. 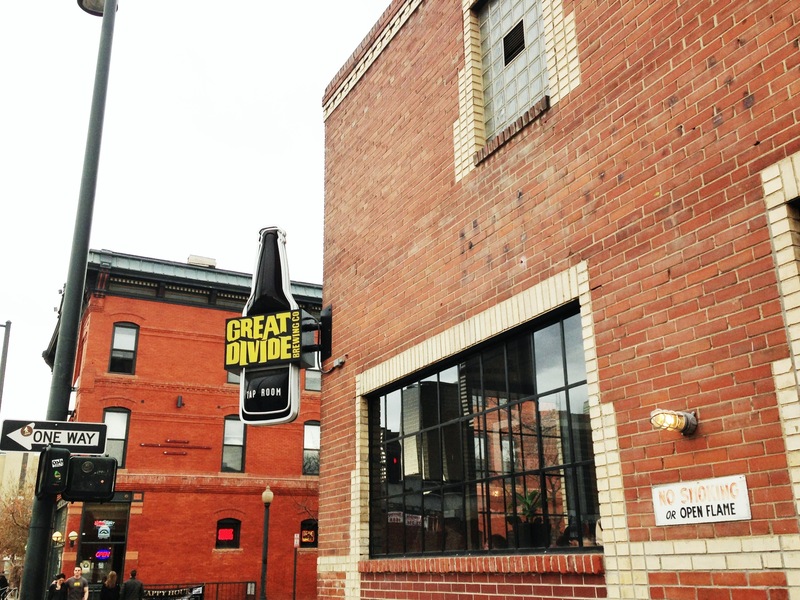 I primarily spent my trip in Denver and got to visit a wide range of breweries and bars. If you make your way into the state, I highly recommend checking these places out! Located in downtown, this restaurant not only focuses on flavorful foods, with fresh ingredients, but they also have an awesome beer menu. Get the pretzels with cheese, mostly just for the cheese, it’s super creamy and delicious! Amongst our group, we drank a few beers from Dry Dock, including Hop Abomination and the award winning Apricot Ale, Left Hand Milk Stout Nitro (one of the best milk stouts out there), Great Divide Oak Aged Yeti (one of the best imperial stouts out there, aged with oak to make it even better! ), and a few others that I don’t really remember. While I was able to get a pint of Oskar Blues Dale’s Pale Ale, you should come here for the pizza, more so than for the beer. It’s located in Golden, near the Coors brewery. It was about $10 for all you can eat pizza, and the pizza was diverse and delicious. The third day I was there, I took a trip up to Fort Collins to visit the New Belgium Brewery. A full write up on my visit can be found here. Located in Denver and featuring some of the most unique beers in the state. Every beer is fermented solely with brettanomyces, and several are barrel aged and soured. These beers require a bit of an open mind and an adventurous spirit. Only 3 beers were available the day I visited, however all three were very different from each other and equally flavorful. Vieille is their take on a saison, and was the most “clean” tasting of the beers. It’s more of a tropical variation of a typical saison. There was also an apple whiskey barrel aged version that featured a bit more tartness in the taste, and a funkier nose. Lastly, they featured a beer from their “Wild Wild Brett” series: Violet, with passion fruit added. This was delicious and resembled a sparkling cider. A less sugary, higher quality, delicious sparkling cider! Another interesting fact about this brewery: Beers are fermented, aged, blended, and bottled in the back area of the warehouse. The only aspect of a brewery missing here, is the actual brew house. The brewing takes place offsite, then the unfermented wort is transferred here for the rest of the process. Oak Aged Yeti on cask: High viscosity, and black as hell. This beer is immensely flavorful and is one of my favorite imperial stouts. Yes, I drank this earlier in the week at Freshcraft, but I had to try this on cask! Old Ruffian Barley Wine: Solid barley wine, not quite as heavy and syrupy as most barley wines, making this extremely drinkable. Bready, fruity, and super smooth! Claymore Scotch Ale: Peaty aroma, and honey-like sweetness. This was also dangerously drinkable. Despite not being barrel aged, the peat malt and alcohol content give a bit of a whisky like character. Bull & Bush is a brewpub that’s been in the state for over 40 years. It’s modeled after the pubs in England, and it definitely has that vibe down. Their most well known beer is aptly called, Man Beer. Being a tourist to brewpub, it seemed only necessary to order this beer. It’s an English IPA, and is both immensely malty, and abrasively bitter. Food here is awesome too. Whatever you order, get the mashed potatoes along with it. The burger I had (The Prince Charles) was delicious, but all I remember is how great the mashed potatoes were! This is obviously not an extensive list of places to visit in Colorado, but should give you a good start. I’m looking forward to the next batch of breweries and bars I visit the next time I’m in the state!